Today, most people around the world find they can afford to own a smartphone, leading to a huge rise in the use of data. And with GSM still being the most widely used technology today, it’s little surprise that operators with large GSM subscriber bases are experiencing a strong growth in data traffic. 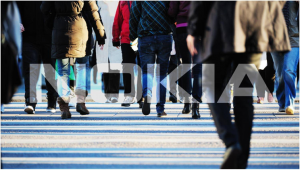 One of Nokia Networks’ leading operator customers in India was faced with booming demand for GSM data and wanted to capitalize on the revenue opportunity by upgrading its network to carry 100% more data. It wanted to achieve this with its existing infrastructure and without adding any new sites - and do all this in six months. To meet this ambitious target, Nokia Networks applied a clever mix of its Liquid Radio GSM software features along with Packet Abis to a trial cluster of sites. The results were immediate and dramatic - the cluster easily carried 20% more GSM data payload than before, with the ability to serve even higher payloads as the traffic grows. Impressed, the operator ordered the features to be deployed across its whole network to greatly improve its overall efficiency, capacity and utilization to deliver 100% more data payload. So what are the features that are helping transform this GSM network? Orthogonal Sub Channel-Half Rate (OSC-HR) allows up to four GSM voice calls in a single voice channel. It works with Single Antenna Interference Cancellation (SAIC) capable handsets, which typically make up more than 65% of the handsets in networks. This means existing voice traffic can now be served with fewer channels, freeing up to 10% capacity for data services. Smart Resource Adaptation (SRA) allocates radio resources for data connection based on the size of the packet. This allows up to five times more smart device users and over 80% more traffic per data channel. Packet Abis enables IP networking for the Abis-Interface. It improves transport efficiency and provides more than 55% savings on Abis bandwidth, allowing more traffic to be carried over existing bandwidth. All these features are field proven and widely deployed and have been delivered to over 120 operators worldwide. Do you need to carry more data? Then don’t ignore your GSM network: With the right applications, you could provide twice the capacity you have now. Interested in finding out more? Click here to read about our Nokia Liquid Radio GSM Software Suite. Please share your thoughts on this topic by replying below – and join the discussion with @nokianetworks on Twitter using #NetworksPerform #mobilebroadband #GSM #smartphone.